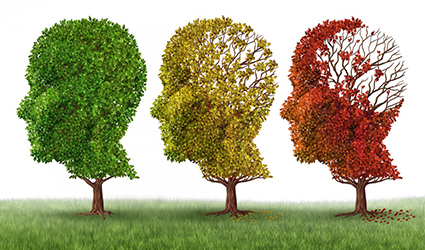 A phase 2 study on BAN2401, a monoclonal antibody that hits soluble amyloid beta oligomers, showed that it limits cognitive decline in patients with slight cognitive injury or premature Alzheimer’s dementia on two scales and removed brain amyloid in 81% of patients in the trial. “The majority of subjects receiving the top dose [10 mg/kg intravenously, biweekly] went from being amyloid positive to amyloid negative,” by the closure of the 18-month study, Lynn Kramer, MD, said at the Alzheimer’s Association International Conference. BAN2401, at 10mg/kg, retarded cognitive decline by 30% compared to placebo on the Alzheimer’s Disease Composite Score (ADCOMS), a new measure designed and propagated by Eisai. Moreover, the antibody also showed a notable statistical score on the Alzheimer’s Disease Assessment Scale-cognitive subscale (ADAS-cog), slowing decline by 47%. Another assessment, the Clinical Dementia Rating Sum of Boxes (CDR-sb), presented a 26% reduction, being statistically insignificant. Marked changes were also noted in cerebrospinal fluid amyloid beta and total tau, said Dr. Kramer, chief medical officer of Eisai’s neurology division. Dr. Kramer said that Eisai might try to attain FDA breakthrough therapy status apart from planning bigger, lengthier phase 3 trials.